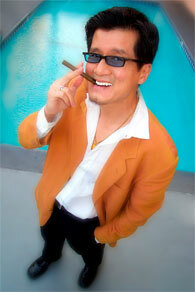 Born and raised in New York City by Shanghainese parents, Shecky Wong is sometimes referred to as The Godfather of Asian American standup comedy. He helped launch TakeOut Comedy, performing the inaugural shows in Hong Kong and Singapore, along with a 5 city U.S. tour. As an actor, using the stage name Phil Nee, he has appeared on several TV shows and films and has written and performed his solo theatrical show, “Why I Never Smile” in New York, Los Angeles, and Vancouver, B.C.